Keeping a manual mileage log for hundreds of drives per month is unbearable. Hurdlr does this automatically, and you don't need to touch the app during your drives. Every day, Hurdlr tracks over 1M miles for tax deductions and expense reimbursements, automatically. Most people who use a manual mileage log and are not using an automatic mileage tracker miss more than 50% of their drives! On average, Hurdlr users capture $5600 in tax deductions. Every day, Hurdlr tracks over 1M miles for tax deductions and expense reimbursements, automatically. 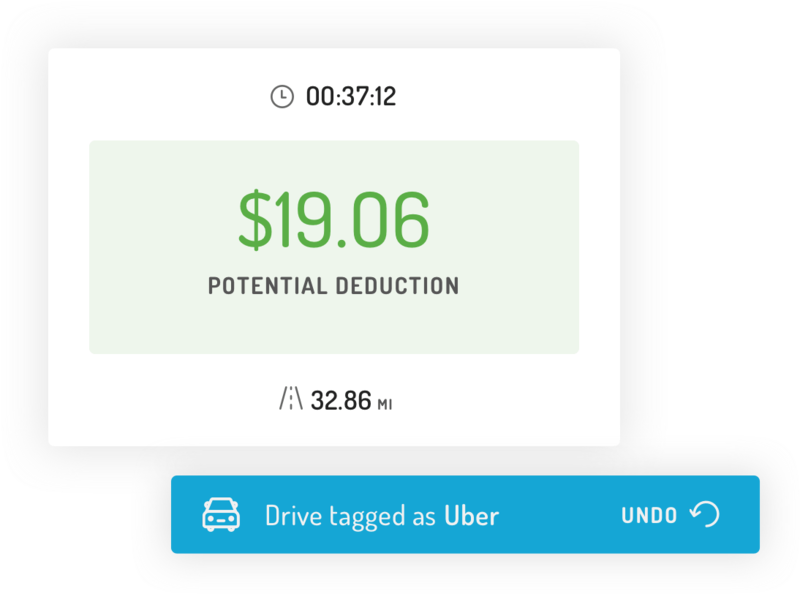 To date, over 1B miles have been tracked with Hurdlr and users have saved $350M in taxes. Mileage tracking refers to keeping a mileage log of miles driven for the purpose of tax deduction or reimbursement. 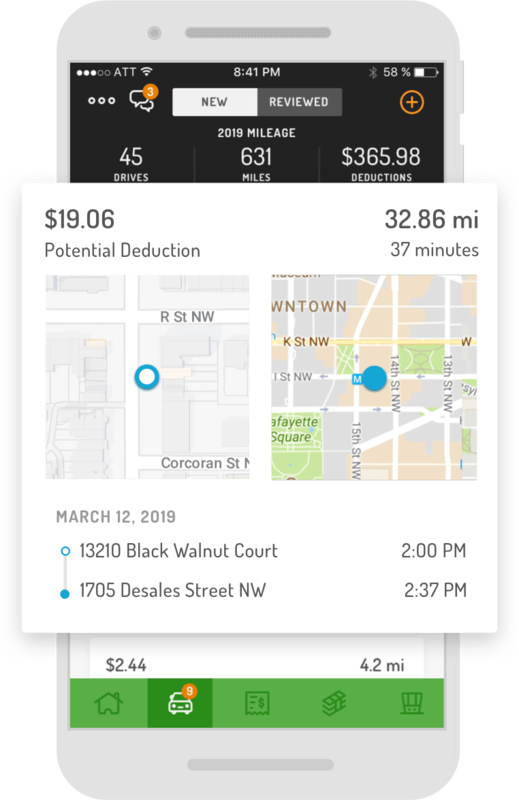 For 2019 tax filings that are due in 2020, you can claim a 58-cent deduction per business mile driven. Employees often use this same rate on their expense reports to get reimbursed for business trips. Personal mileage driven for charity work, medical purposes or moving can also be deducted under certain circumstances, and the rates differ from business mileage. 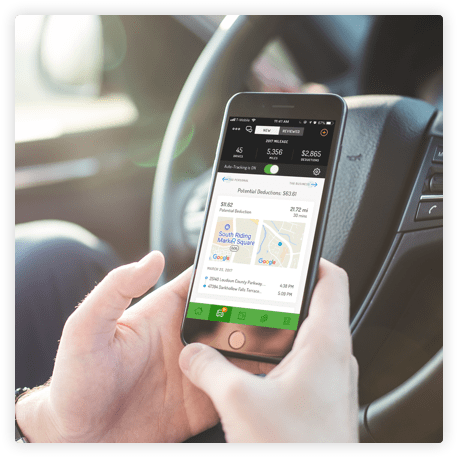 Hurdlr is used by over 1,000 types of mobile professionals, independent contractors and freelancers, including rideshare drivers and couriers, REALTORS® and real estate agents, and direct sales distributors. Save Time. No more need to keep a manual mileage log. Just drive! Save Money. Automatically capture all of your drives, deductions and reimbursements. Stay Organized. You're always up to date with tax reports that make tax filing a breeze and expense reports that make reimbursement painless. Hurdlr is used by over 1,000 types of mobile professionals, independent contractors and freelancers, including rideshare drivers and couriers, REALTORS and real estate agents, and direct sales distributors. Automatically tracks mileage. Never forget to track your mileage again. No more written mileage log. Accurate reports. You're always up to date. Tags repeat drives. Finally, a mileage tracker that learns your routes. Personal mileage for Charity Work, Medical Purposes and Moving can also be logged. No need for a separate app or log. Mileage tracker is amazing..with locations and total miles and deductions. Great self employed business tool. You can integrate with your bank and Uber app, so all pertinent information is transferred to Hurdlr. I love this app. Hurdlr is the best bookeeping app for me! The mileage tracker is accurate and easy to use. The generated reports are any independent contractor's tax preparers dream. It's everything I need it for! It's an affordable substitute for quickbooks. I love the mileage tracker that lets me input my working hours so it only asks me to tag the important business drives. I'm just getting started with my business and its finances. However, I'm already finding Hurdlr extremely useful! Automatic mileage tracking that I can assign to individual clients is amazing! I think it will only get better from here. Section for Third-party's Blog Feed script.